In the Palestine winter months back in David’s day, shepherds would take the sheep down to the lowlands where there was more grass and it was warmer. But once summer arrived and the temperature rose, it was in the sheep’s best interest to move to higher ground. The only way to get the sheep from the low ground up to the high ground was to go through the valleys and gorges that are common in Palestine. In this psalm, the better translation for this valley is “dark valley” or “valley of deep darkness.” The valley of deep darkness is not just about death; it’s about all those trials in life when, for a season, the shadows overtake the light. 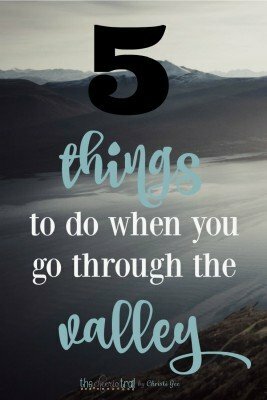 Everyone will go through the valley, and often more than once. Even the most obedient sheep still have to go through the valley. He then went on to say that sometimes that means going into dark valleys. Righteous paths can still have valleys and shadows. if you don’t have shadows. Valleys are impartial and inevitable. The shepherd was taking the sheep to a better place. it is fueled by trials. This doesn’t mean the valley is easy, but it does mean our pain, our trial, and our journey will not be wasted. 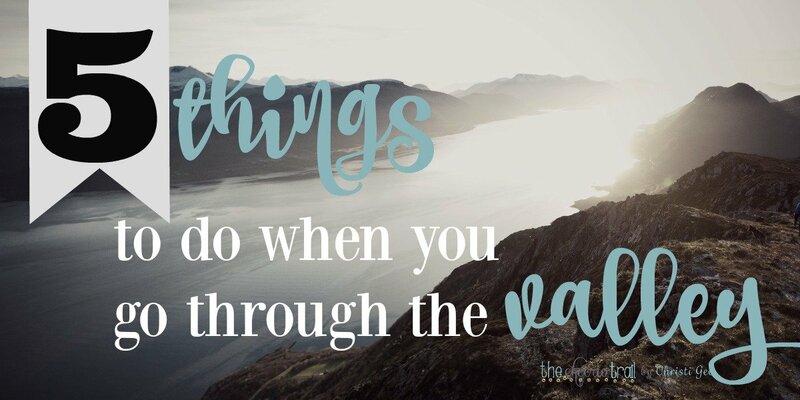 If your path is currently through the valley or you see one in your future, here are five things I’ve learned make the difference in the ability to endure. The shepherd is not a long distance guide. He enters the shadows with us and can use those shadow moments to draw us closer to Him. Resist those lies by drawing close. Don’t resist the shepherd and don’t blame him. Remember we don’t have His perspective, but we have His promises. The journey will be much more bearable if we walk beside the shepherd instead of pouting ten steps behind. When David got in the valley, he stopped talking ABOUT God and he started talking TO God. Have you ever noticed how the pronouns change from the first three verses to the last three in Psalm 23? The psalm opens with, “He leads, He guides, He restores,” but David adjusts his language to “… for YOU are with me; YOUR rod and staff comfort me.” It’s no coincidence this shift happens in the valley. David knew the value of crying out to God. In the valley, do what Jesus did in his darkest hour in Gethsemane. He prayed “Abba, Father,” and invites us to do the same. Don’t equate darkness with distance. Draw close to the shepherd and talk to the shepherd. God is able to redeem anything believers go through. He did not say all things are good. He said there is NOTHING we go through that cannot be redeemed by God so that something good can come from it. Any valley we go through – God can enter it with us – to bless us and change us so that we look more like Jesus. That’s Treasure. Consider how a pearl is formed. A grain of sand makes its way inside an oyster’s shell through a crack. In response to the irritation, the secretions and coatings produce a pearl. All oysters don’t produce pearls — only the ones who recover from the irritation and the wound. A pearl is basically a healed wound. John MacArthur notes the benefit of this fire of testing is immediately for the Christian. When a believer comes through a trial still trusting the Lord, he is assured that his faith is genuine. That’s Treasure. God through His Spirit will reveal to us where He is turning wounds into treasure. We may not ever fully understand, but in His grace, we get a glimpse of how far He’s brought us. In fact, one day we just might look back and thank God for the journey. Not that we’d ever want to go through it again or wish it on anyone else, but we’ll look back and realize we’re in a better place because we went through the valley. And we will leave the valley — that’s the next thing. The word is through — through the valley. The place of shadows is not a permanent home. When the darkness closes in and you don’t know what else to do, just take the next step. Do the next thing. Hold on for a little longer. Keep walking, even if it is with a limp. Keep walking by faith, not by sight. You can’t afford to stop and analyze why you had to enter. Faith chooses to survive what it cannot explain. God never did explain the valley to Job. The phrase “valley of deep darkness” is used nine times in the book of Job. Job was on the right path, but he never did understand why God sent him through the valley of deep darkness. So Keep Walking. There is a better place. The shepherd has promised to get us there. a realization that we will all face seasons of pain or unease. Almost two years ago, I entered my own totally unexpected valley; it caught me off guard in every way imaginable. When God began to get my attention, He did so by calling me to praise Him in the middle of the storm. The first part of my voice He rescued was the part I used to praise Him. The praise returned my eyes to the Savior and slowly my voice returned fully. And now I write so others might hear and recognize the song. I could not speak words of comfort had I not first been comforted. Before I went through the valley, I believed in God. But it was during my time limping beside Him through the darkness that I learned whether or not I believed Him. The shepherd never left me in the darkness and it was the shepherd who pulled me back from the edge. If you are in this valley, I pray these few words will lead you back to the side of the shepherd. Once you’re in a valley, the only way out is THROUGH it and the best place to be is BESIDE your shepherd-Savior. of the shepherd in the midst of them. And dear friend, that changes everything. I stumbled across this devotional during a Google search. I am going through a VERY difficult valley and was in a state of despair. This has been such a help for me. I saved it and read it DAILY to keep going. Thank you so much for sharing this and having a deep impact on my world. 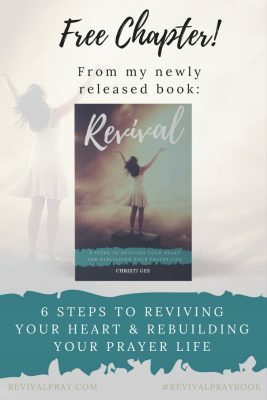 Thank you Christie, These 5 steps are most encouraging and worthy of high praise to the Father, Son and Holy Spirit. I understand full well now of Psalm 23:4-6. I know full well now the scriptures of Job while he went through deaths dark valley. I am so full of joy now I am going through my valley of Mild Stroke, but I am still walking, I am limping now but I know The Lord is limping with me. This message has increased my insights and I am so blessed with this teaching. Please send me more of these teachings because I just want to sign in with you and receive more of these encouragements. Christi, I also truly believe that your trial is not a permanent condition, it’s just a place for you to grow. You have the gift of encouragement. Depression affects so many of our sisters and they suffer silently. I’m so glad to have found you! This post was truly awesome! And it came to me at a time so fitting because my marriage is on the rocks. I was just talking to my mom about how I was not sure if this valley/trial was a punishment, a test or Satan actually attacking my marriage or a combination of the three. And you touched on that saying that it does really matter what it is as long as we just get through! 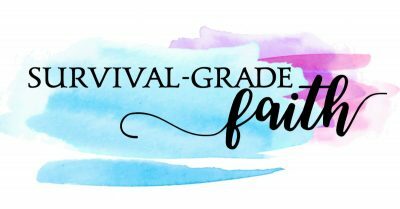 I really believe that the Lord just answered me through this blog letting me know that it doesn’t matter what type of valley it is as long as I stick with Him and get through it. Thank you so much! I’m so sorry for you valley. Yes, keep your eyes on the Lord. Humbled to have these words used by Him to encourage you. Thank you so much for letting me know. While I do believe this, it’s hard to hold on when it gets so long. When we moved to another state 8 years ago, it was only supposed to be for 2 or 3. I came with an open mind but have never been happy here and making that move has done more harm than good. If I could go back and change one single thing about my life, it would be the day I said I would move here. I would have screamed, “NO!” as loud as I could and never opened it back up for discussion. At first I thought, okay, this is where we’re supposed to be (we prayed about it several times), let’s see what happens. What happened was I’ve been raising four little kids while my entire family and incredibly supportive village is all in another state. I am married, and I love my husband, but he gets to go to work all day and sometimes goes out of town. I’m getting bitter, I have to admit, because I don’t feel like God cares what I want. My husband is happy wherever, but every time we’ve tried to move it hasn’t worked out and we feel like we’re still supposed to be here. Eight years and no end in sight. I know “why” is a dangerous question to ask and I’m trying to have faith. But why doesn’t God care what I want? I am sorry I haven’t been able to keep up with replies on a timely basis. I did read this comment and have prayed for you since then, even though I’m just now answering. I don’t have answers ~ and I don’t think you’re actually looking for me to provide them. I know sometimes you just need to hear that someone heard and realizes this is a lot. And I know much of what you’re speaking of. If you’ve read some other posts, you’ll find some of those same sentiments I struggled through. I am so sorry, but I can testify that God sustains and will hold you through it. Please hold on. It’s worth it. This is awesome, thank you, I have went through that valley, I tragically lost my 15 year old daughter 4 years ago, she accepted Jesus when she was 7 years old, my youngest is 15 and oldest is 23, it’s been very hard losing a child, I was even angry at God for awhile, but I knew without a doubt she lives in heaven and I will see her again! Jesus has never left my side and sustained me on this healing journey! My kids are miracles from heaven! Marilea, thank you for sharing your story of God’s grace in the middle of unspeakable pain. Your testimony that Jesus never left your side is precious and priceless and I’m sure you are sharing it with others. May God continue to use your witness to comfort others in ways only you can comfort. You are so precious to let me know. In the middle of whatever valley you are walking, you took time to encourage me. Thank you. 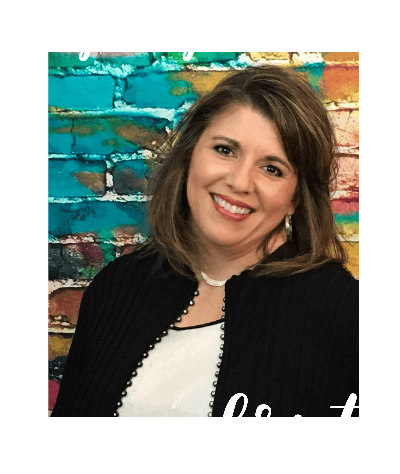 What a good word, Christi! Once again, God has used you to speak words of hope into my life. This is the third time today that God has reminded me to praise Him right now – in the middle of the valley! I think maybe I need to do some singing! Thanks for doing what your website says you want to do – Encourage those who inspire others! You are truly amazing. Thank you for the timely encouragement. Thank you!!! And thank God for His perfect timing and words through you!! He speaks to my heart so often through your blog. Arrived home today from another week in the hospital with mom. She has been in the hospital 22 days out of the past 48 days. The valley has been long and dark. This evening as I sat down at the computer to answer e-mails, I just sat and cried…….cried out to Him for a word of understanding from Him. Decided I couldn’t “do” e-mails right now, so decided to scroll through facebook until the tears dried some. The FIRST thing that popped up on the feed was your blog!!! And it was the PERFECT answer from our awesome God!! Comfort and peace flowing for the present time. His mercy! NEVER underestimate or wonder about your calling. He is using you to reach so many. Thank you for being a vessel for His voice to me this very hour. If this post never reached the eyes of anyone but you, dear one, it would be more than enough. I am crying with you thinking of your pain and of our great God at the same time. He does walk with you and holds you up and yes, HIS timing and HIS comfort are perfect. I pray you are soaked with His love. There is a story behind my writing this and pushing to release it tonight. I’m beginning to see how the threads form His perfect weaving. Love you so.